OTTAWA -- When Beckie Scott left behind her competitive cross-country ski career in 2006, the Olympic gold medallist didn't foresee the path she would take next. A dozen years later, Scott has become a leading international voice to root out doping in sports and heads a charity that runs programs for Indigenous youth to use sports and play to improve social and economic outcomes. For that work, Scott is among the 103 newest appointments to the Order of Canada, the cornerstone of the Canadian honours system whose ranks are now closing in on 7,000 members. "I ended up reflecting on this quite a bit and dedicating it to my dad, who was an immigrant himself, but really one of the more proud Canadians that I can think of," Scott said. "He would have been incredibly moved and emotional to know I was getting this." Scott made a name for herself in 2002 when she captured Olympic gold in Salt Lake City. When she retired from competition following a silver medal win at the 2006 Turin Olympics, she didn't set out with any political ambitions. "Once I had stuck my foot in that arena, I realized the importance of people in that world and ... the value of people who could advocate on behalf of clean sport," she said. "I stayed and have tried my best for many years to be an advocate for that because I care very deeply about it." The list of new appointments being unveiled this morning by Rideau Hall includes former politicians, such as one-time New Brunswick premier Camille Henri Theriault and Frank Lewis, who served as P.E.I. 's lieutenant-governor. There are researchers like Geoffrey Hinton, a world expert in artificial intelligence; journalists like Lyse Doucet of the BBC; and trailblazers in sport like Rhona and Rhoda Wurtele, the twin sisters who comprised the Canadian alpine ski team at the 1948 Olympics. 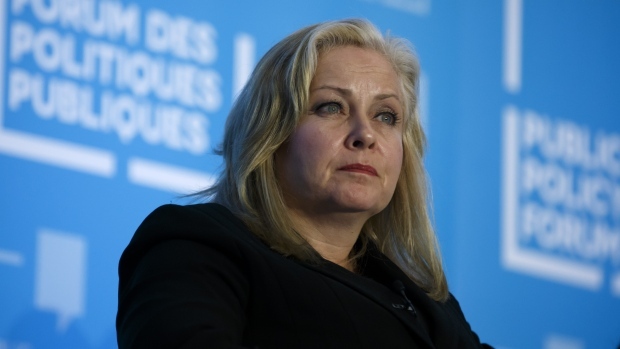 The list also includes several prominent Canadian business leaders like former Nexen CEO Charlie Fischer, Telus CEO Darren Entwistle, AGF Management Executive Chairman Blake Goldring, Linamar CEO Linda Hasenfratz, former Caisse de dépôt CEO Henri-Paul Rousseau, and La Maison Simons CEO Peter Simon. Greg Zeschuk and his friend Ray Muzyka took a winding path to the Order of Canada. It started in medical school in the 1980s when the two became friends, and grew as they combined their mutual interest in software development to create the Edmonton-based firm BioWare in 1995. Eventually, the two gave up family medicine for gaming, and after 17 years, BioWare as grown into a leader in role-playing games and won industry accolades for the two men, known as "The Doctors." Zeschuk now runs breweries and a restaurant in Edmonton that focuses on hosting charitable events. Muzyka heads ThresholdImpact, a firm he founded to help mentor socially-conscious entrepreneurs hoping to grow their businesses. Both men said they have no plans to rest on their laurels in light of the new honour. "I find it in a way sort of motivating in that OK ... now, I've got to do more," said Zeschuk. Muzyka joked in a recent interview that he's still not sure what he's going to do when he grows up. "I hope I continue to figure out something interesting to do. I like learning, I like helping people -- those are common themes," he said. Helping people is also a theme in the work of painter Maxine Noel. The Indigenous artist has tried to use her work to help raise awareness about issues facing Indigenous Peoples in Canada. Her painting called "Not Forgotten," which recognizes the lives of Indigenous women and girls, hangs in the Canadian Museum of History in Gatineau, Que. Noel's art helped her survive her time at a residential school, and stayed with her when she was a legal secretary for Bay Street lawyers in Toronto. But about 40 years ago, she dedicated herself to art full-time. All these years later, Noel said she sees herself as an activist first, and her art as a vehicle for her advocacy. "When I speak to children or students, quite often I tell them that one day, one of you -- or many of you -- will become very well-known in the world, and at that time you can help make major change. I live on that (and) work on that," Noel said.